Regular Oil Change will extend the life of your car. There are plenty of benefits for regularly changing your car’s engine oil. The primary goal is to keep your engine running smooth and to its highest potential. Regular oil changes can save the life of your engine and save you money on possible repairs due to dirty or broken-down oil. Vehicle’s engine oil lubricates all the moving parts of its engine. Lubricating the parts allows your engine to run at its maximum capacity and also assist to extend the life of the engine. Oil breaks down, and its viscosity reduces over time. It can get thick and gummy which does not allow it to move as freely through the engine to keep all parts efficiently running. The engine produces little shavings of metal and debris that can clog up the oil filter and enter the oil, these fragments then get passed through the engine and can cause malfunction of the engine. Keeping clean, fresh oil in your car along with a new oil filter is imperative to keep the engine running as it is designed to run. Doing regular oil changes on your vehicle will prolong the life of your engine and will help in reducing a lot of problems in your car engine. The primary purpose of engine oil is to reduce friction and lubricate moving metal parts inside an engine. Without this friction reduction, your engine would come to a screeching, violent halt within a matter of seconds after being started. The secondary purpose of engine oil is to provide some engine cooling, though this cooling effect is insufficient. That’s why your engine has an entirely separate system for cooling. An easy method of increasing the lifespan and improve the performance of your vehicle is to complete regularly scheduled oil changes. Most certified mechanics recommend that you change conventional oil every three-thousand miles and synthetic oil at about every five-thousand miles. Also, most mechanics advice that one change the oil filter each time they change the oil. Failure to change your vehicles engine oil can result in a lot of problems that cause expensive repairs that can be easily avoided with a fundamental change of oil. Oil changes are relatively cheap and are a car maintenance requirement. If the change of your engine oil is not done promptly, it can result in engine slush. This sludge inside of your engine will reduce its performance. When this happens, your gas mileage will suffer significantly and overheat on hot days is more likely to take place. When a car is running the movement of the engine creates particles of debris which will find their way into the engine oil. When changing the oil, it clears out all of these dangerous pieces of debris which can cause damages to your engine’s internal components. 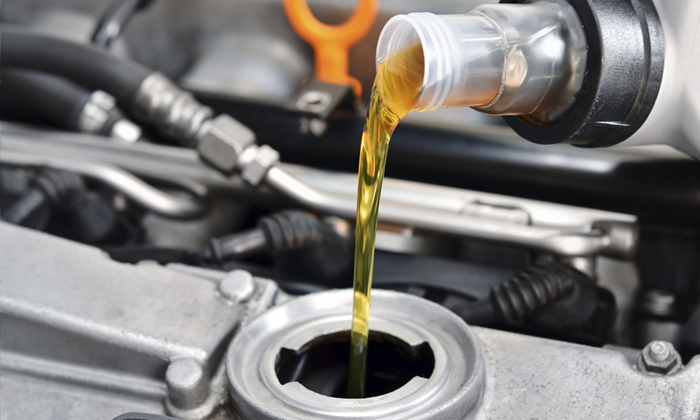 Regular oil changes will contribute to a cleaner and enhanced engine performance. It has also been verified that the most common causes of engine wear are due to friction. Thus by completing these oil changes, you significantly reduce the chance of engine malfunction in your vehicle.